Pulse 24/7 allows you to enjoy your career stress free. Manage your business simply and efficiently. 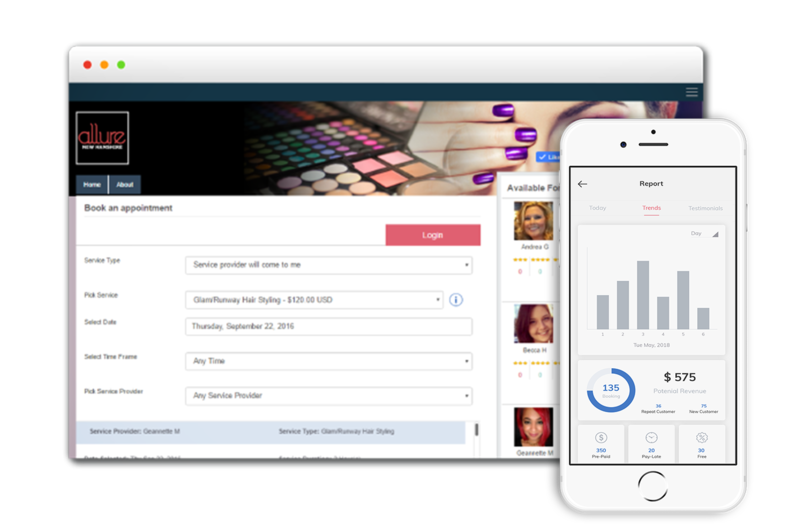 Massage your way to faster bookings and referrals using our online and mobile appointment setting products. Be at the top of your profession with efficient customer service and ease. No more waiting and no more overbooking. Never miss out on money with this app. We make sure that customers prepay so last minute cancellations become a thing of the past. Forgot about your appointment? No worries! Pulse 24/7 automatically reminds you and your client of a pending appointment. Reach out to your clients to let them know about new massage deals you've added. Visually see everything going on in your business on one clear and concise dashboard. Why not try out the #1 Massage Therapist Booking and Marketing App today?